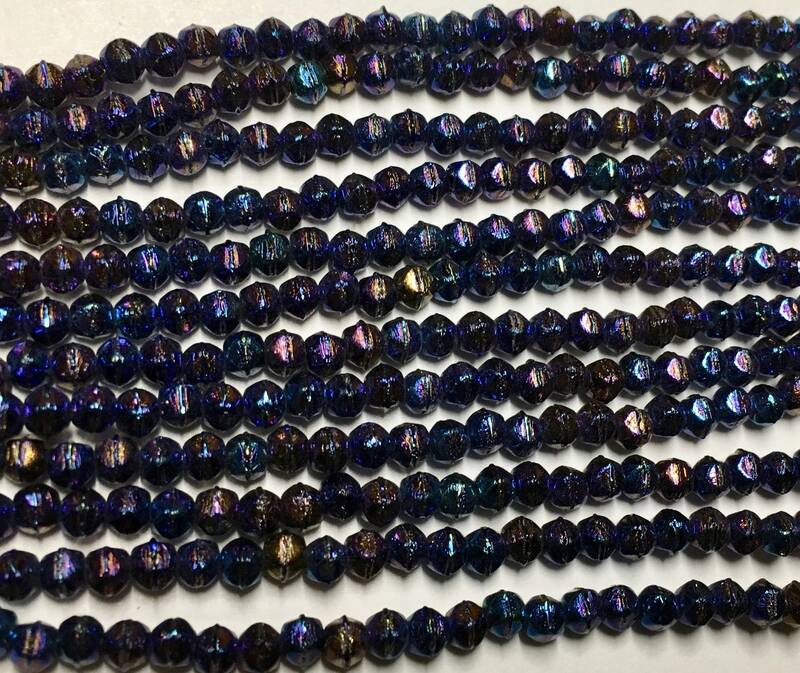 Metallic Iris Blue Czech pressed glass tiny English cut beads. These vintage style little beads are 3mm in size. There are approx. 50 beads per strand.